“Hole. 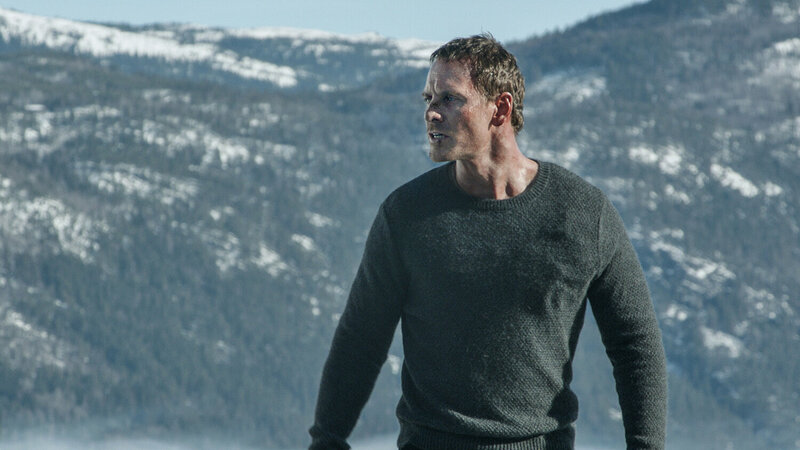 Harry Hole.” Michael Fassbender chases a serial killer in the frosty, hilariously dour The Snowman. Director Tomas Alfredson is in the ennui business. His films are heavy and portentous, often blanketed in the permafrost of his native Sweden and always just as chilly indoors. His 2008 breakthrough, Let the Right One In, reinvigorated the vampire myth by draining it of sensationalism and using it as an affecting metaphor for the eternal loneliness of adolescence. Alfredson’s last feature, a dread (and beige)-soaked adaptation of John Le Carré’s Tinker Tailor Soldier Spy, couldn’t sort out Le Carré’s byzantine plotting, but got his institutional Cold War paranoia exactly right. Yet Alfredson’s one-size-fits-all atmospherics are woefully ill-suited to The Snowman, which attempts to class up the sort of genre material that’s far better suited to the down-and-dirty. Based on the novel by Norwegian author Jo Nesbø, whose thrillers routinely top bestseller lists, the film offers the cognitive dissonance of a garden-variety, straight-to-video serial killer story that’s been treated as if it were a profound reflection on the human condition. It’s the rare case where the presence of top-of-the-line talent — a cast that includes Michael Fassbender, Rebecca Ferguson, Charlotte Gainsbourg, and J.K. Simmons; photography by Dion Beebe, who shot Chicago and won an Oscar for Memoirs of a Geisha; and Martin Scorsese’s editor, Thelma Schoonmaker, sharing a co-credit — winds up exacerbating the problem. If there’s anything the film doesn’t need, it’s more self-importance. A flashback packages the psychology in a neat little bow and tucks it under the tree for later: In an isolated home outside Bergen, Norway, a young boy watches his mother, despondent over the abuse and neglect of her married lover, deliberately steer her station wagon onto an icy lake and sink into a watery grave. Years later, women who roughly fit her description start disappearing around Oslo, with a consistent pattern of dismembered bodies and crude snowmen left in the knee-high drifts. The case falls to Harry Hole (Fassbender), an alcoholic sleuth whose home is metaphorically clouded with dangerous toxins. Sometimes he lays his head next to Rakel (Gainsbourg), his on-again/off-again girlfriend, and plays father to her teenage son Oleg (Michael Yates). The wildcard in this scenario — and the only one who seems to be doing any real work on the case — is Katrine (Ferguson), a newcomer in the missing persons department who feels a special connection to the victims. She sets her sights on a local plutocrat (Simmons) who’s greasing the wheels for an Oslo Winter Games bid. Based on the evidence here, it’s hard to imagine The Snowman working under any circumstances, but Alfredson and his team of screenwriters — all hotshots, too, with credits that include Tinker Tailor, Drive, and original Danish version of The Killing — simply cannot tell this story cleanly. The film lurches between murky intrigue and gruesome beheadings, running several steps behind a whodunit that’s screamingly obvious from the moment the killer appears on screen. Its lapses would be more forgivable if the plotting served some larger purpose, like exposing municipal corruption in Oslo’s government, but Chinatown this is not. This is a lurid thriller about a guy who cuts off people’s heads and leaves snowmen as a calling card. It needn’t be so fussy. Alfredson expands on the winter wonderland of Let the Right One In, covering Oslo and the Norwegian countryside in a blizzard that never subsides. But Fassbinder’s uncharacteristically morose, rudderless performance either sets the tone for the film or vice versa, as if a show of passion would seem too gauche. The Snowman was never going to be a jolly happy soul, but its air of seriousness is oppressive and boring when it isn’t outright laughable. In trying to reconcile low thrills with high art, the film lands face down in the slush.